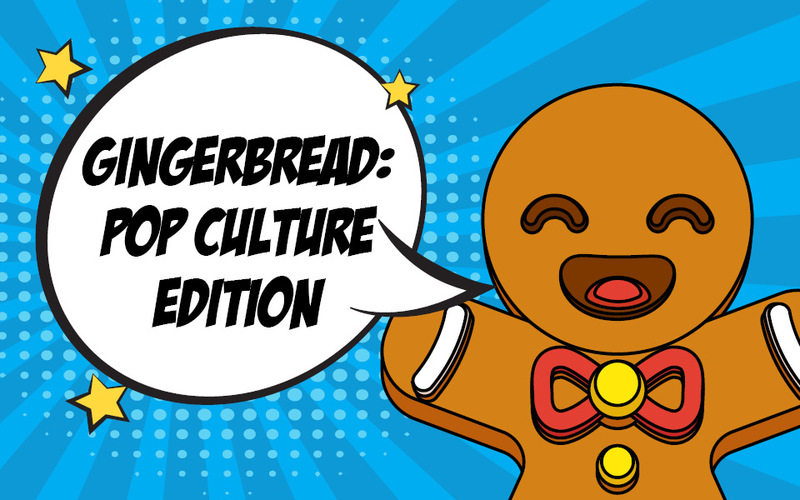 BlogHome Blog Announcements, Art Announcing the Winners of Our 2017 Gingerbread Competition! 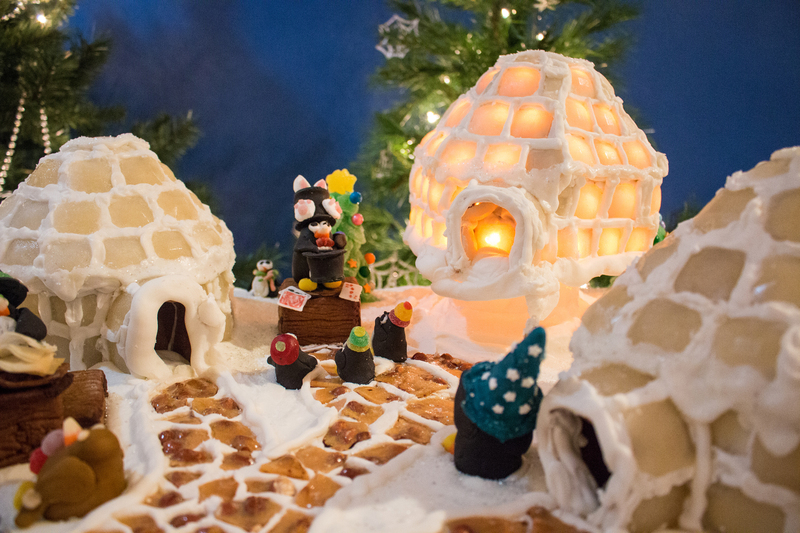 Announcing the Winners of Our 2017 Gingerbread Competition! 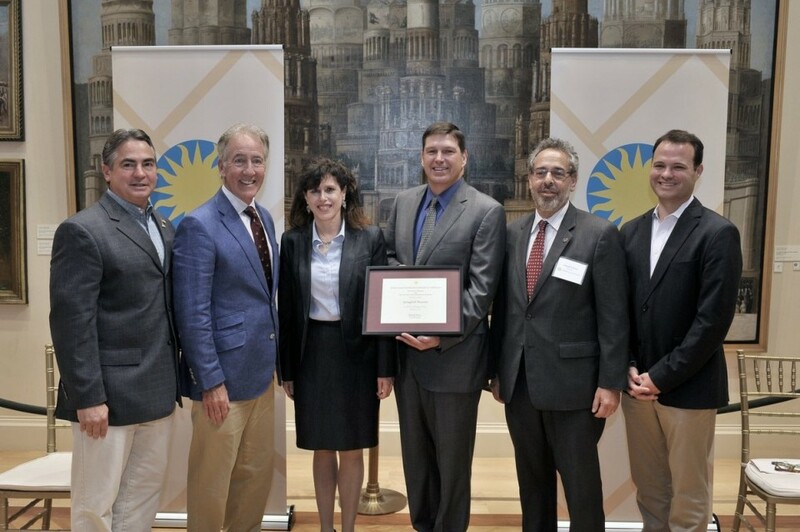 The votes have been counted–more than 2,000 of them! 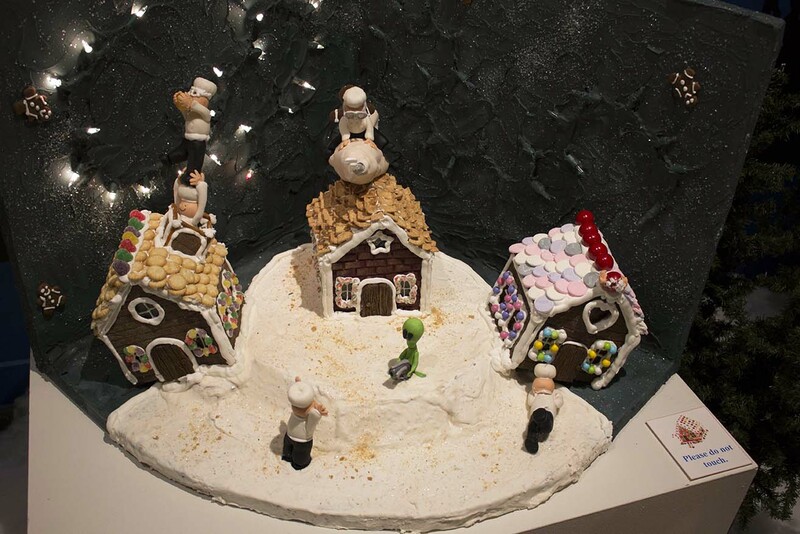 Here are winners of the 2017 gingerbread competition. 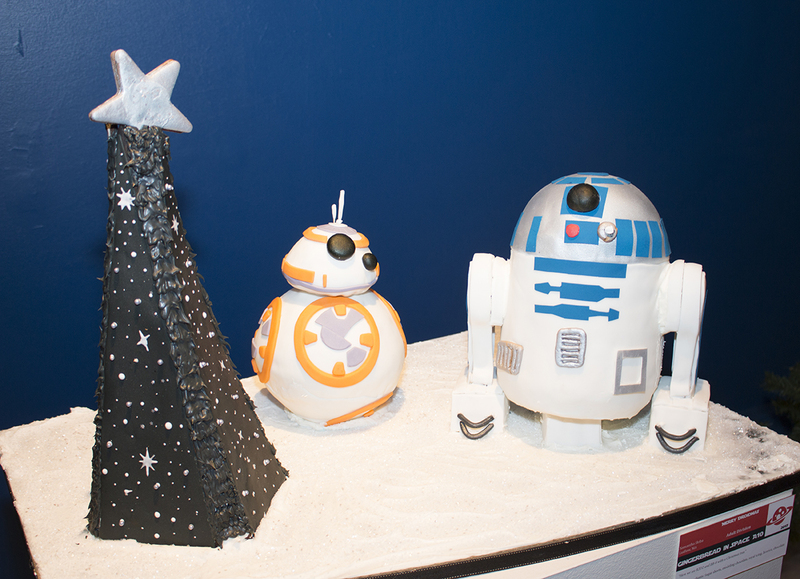 Thanks to all the talented bakers for making this year’s exhibit truly out of this world! 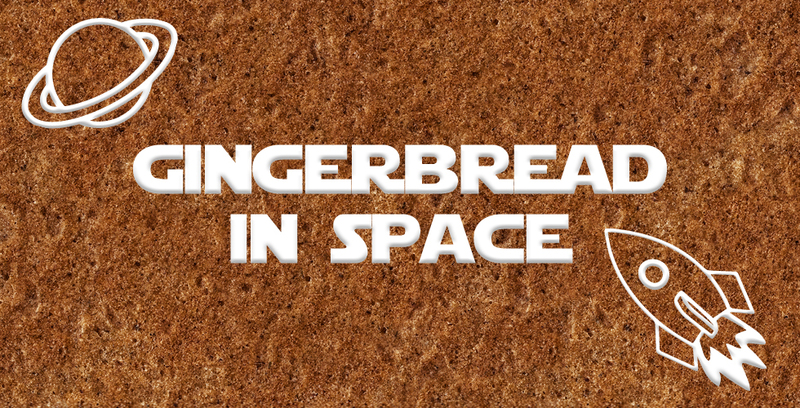 Special Ingredients: A large majority of the project is either gingerbread or royal icing, coated with silver edible food coloring. 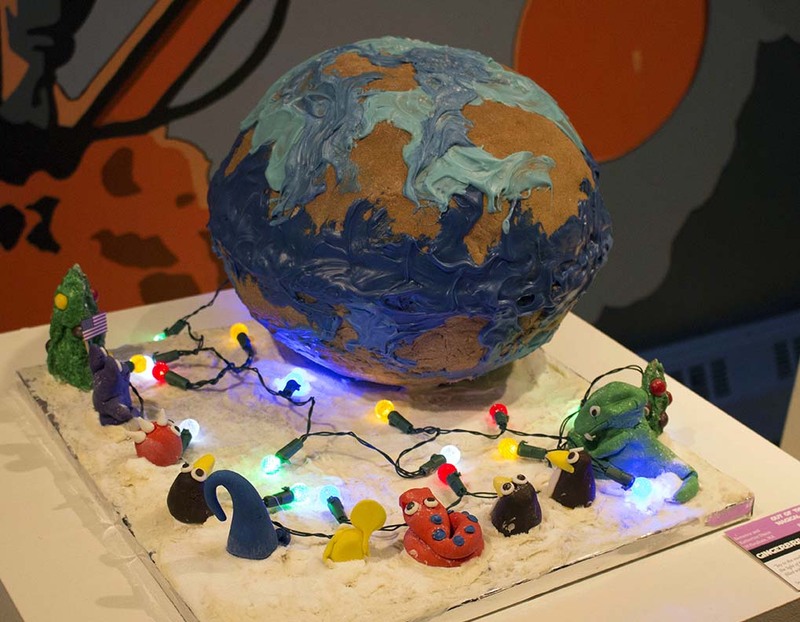 I also used modeling chocolate and Rice Krispies treats in creating the shape of the mountains, along with fondant to create some of the colorful alien life forms. 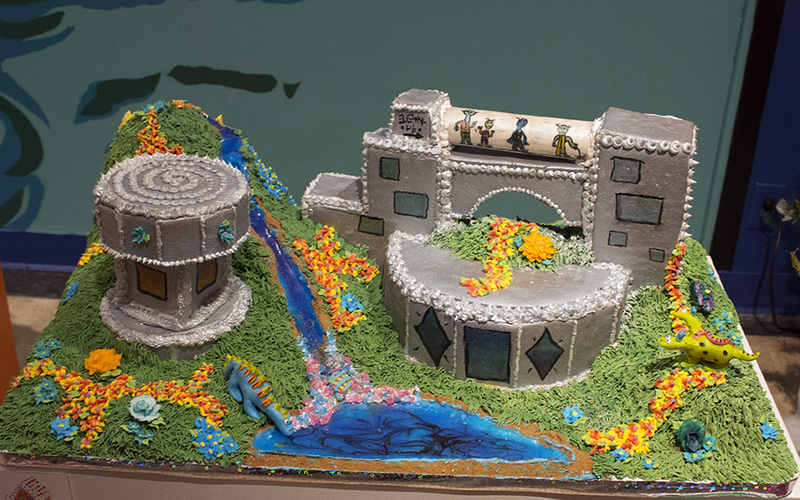 Isomalt and modeling chocolate were used to create waterways and tubes. Using special icing, I piped several flowers. Silver sprinkles and candies were used to accent the buildings. We used rice crispies, wafers, gum drops, peach rings, Nerds, Smarties, M&Ms, candy corn, sugar, rice, cinnamon sticks, life savers, and candy canes. 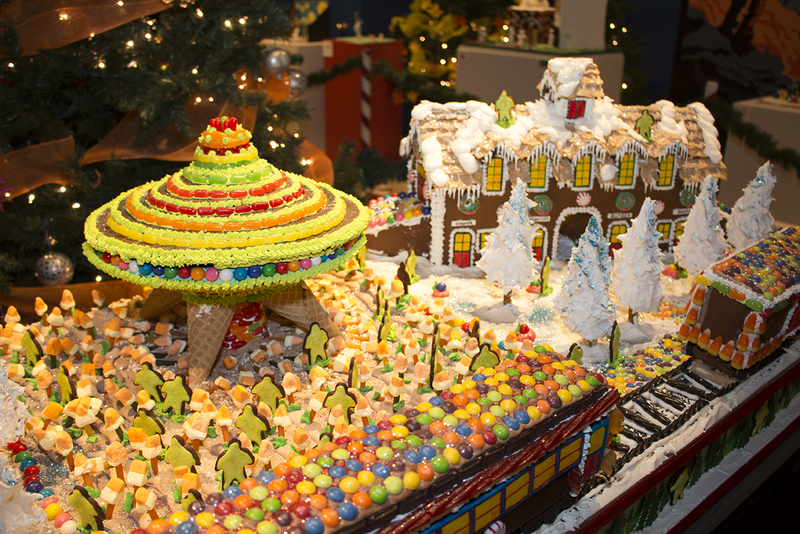 Special ingredients: Gingerbread, frosting, fondant, fudge and other little colorful edible decorations. 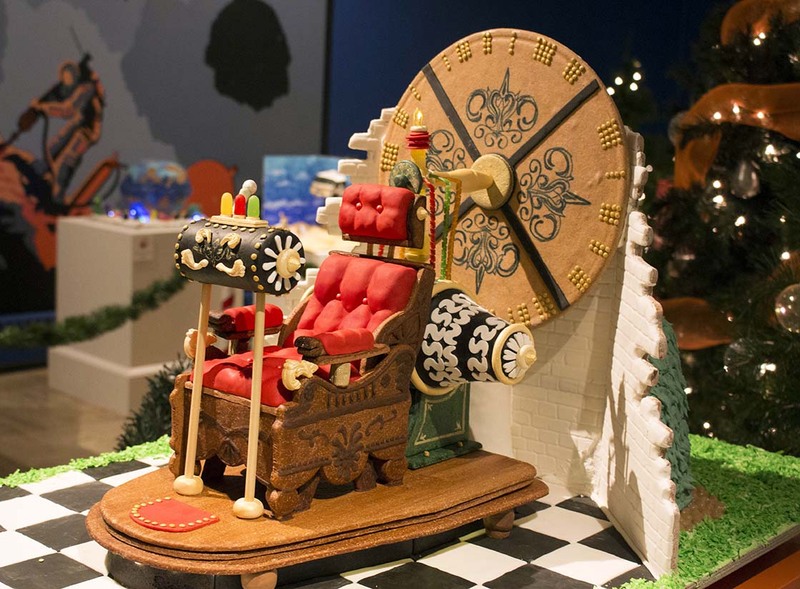 Various edibles used in the making of The Time Machine: Gingerbread, Pasta, Fondant, Rice Krispy Treats, Coconut, Gum Paste, Gumballs, Sprinkles, Alum, Jelly Beans and Mike and Ikes. Special Ingredients: Frosting with edible paint and glitter, pretzels, mini M&M’s, sprinkles, Frosted Mini-Wheat cereal, peppermints and cookies. Special Ingredients: Sugar sheets, modeling chocolate, royal icing, licorice, chocolate candies. Special Ingredients: Mike & Ikes, Twizzlers, Kit-Kat, Skittles, black sesame seed, black licorice, Cinnamon Toast Crunch cereal, Gummy Bears, candy corn, Harvest Mix, Mini Oreos, gumballs, candy canes, Hershey bars, Jolly Rancher lollipops, ice cream cones, frosting and lots of gingerbread. 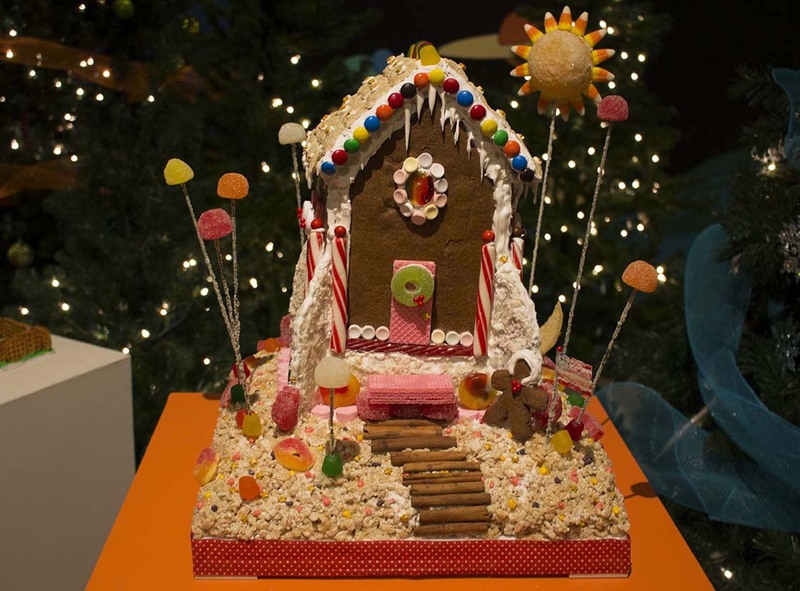 My idea stemmed from the name of the exhibit…… inspiring me to take it literally add some adjustments for traditional gingerbread house materials and added a silly twist. My sister helped. Fondant, crushed, candies, crackers, cereals, royal icing, and of course gingerbread! Special Ingredients: Gingerbread, frosting, candies and lights. 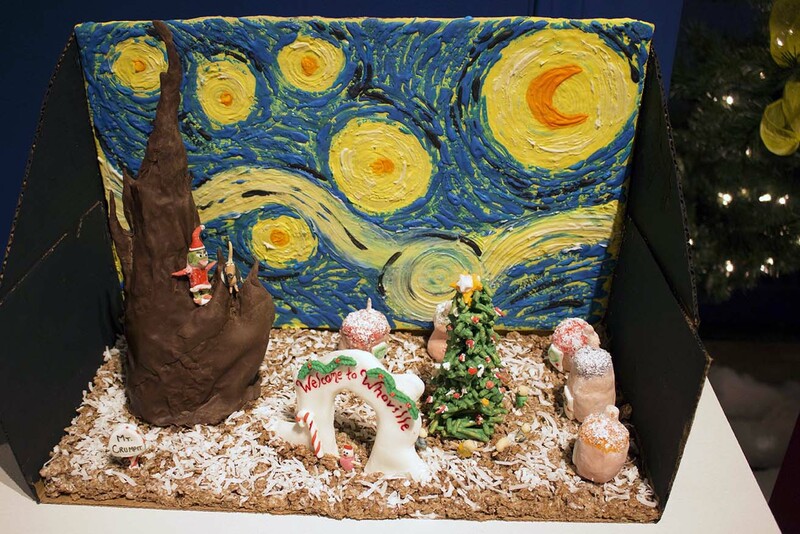 Congratulations to the Winners of Our 2018 Gingerbread Competition! 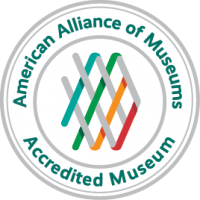 Springfield Museums Named Smithsonian Affiliate! 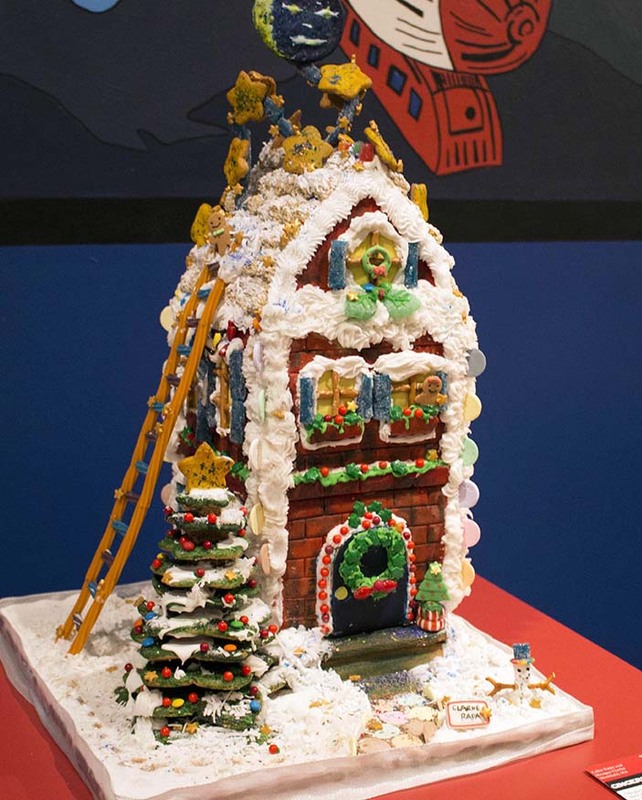 Congratulations to the Winners of Our 2016 Gingerbread Competition!